Between the beard and tats, he already looks like he’s in single A. So these signings mean absolutely nothing until after the draft correct? Travinski can rake for a C. Hits for power. Hope he sticks. I assume that means everyone but Hampton, since we have 18 on the list but he will sign a football loi. He did mention Hampton at the coaches' committee meeting last night and that he would be a football signee but it sounded like he was still in the plans for baseball, assuming they would make room on the 35 if he plays both. He compared him to Jared Mitchell type player. It's hard to do both though especially missing fall practice. I think he eventually ends up sticking with football. We picked up another 2020 RHP. This one from Canada. Theo Millas from British Columbia. Would be our first Canadian since Ivan Naccaratta. 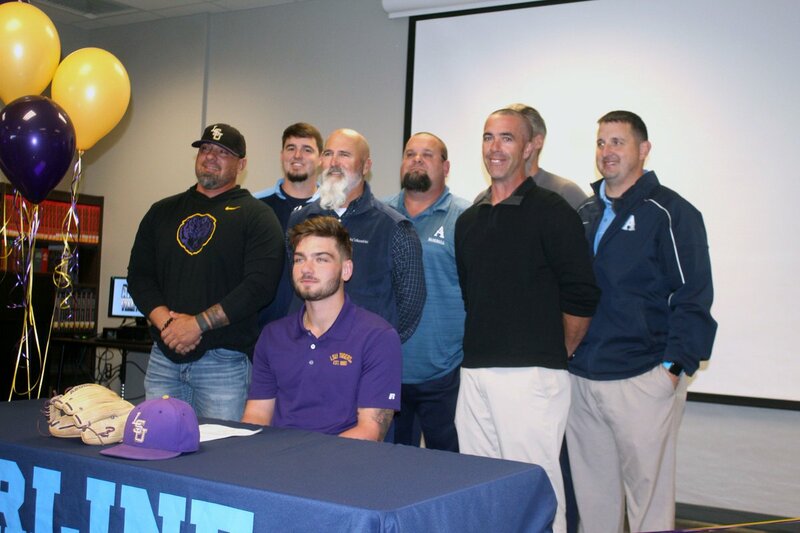 Former LSU player Brody Wofford has transferred from Central Florida to Georgia Gwinnett College, an NAIA school. He went from LSU to Chipola to UCF to GGC. He's been drafted a couple times as well. 2020 commits Drew Romo and Dylan Crews are playing for team USA in the U-18 Pan Am tournament down in Panama right now. They played against the Panama team yesterday and won 9-8. 2019 commit Daniel Espino pitches for team Panama but did not throw against team USA. This is the closest game they've played in the tournament so far. I'm not sure how all of the rosters are constructed, but Panama's catcher is in the St Louis Cardinals org and made it up to AA at points last season. So Crews and Romo are about to start their junior season for high school and are playing against guys that are only slightly older (both LSU commits are playing up), but have years of pro experience. Crews probably will never see campus, but we have a shot at getting Romo on campus. He's been hitting really well in this tournament and even had a couple hits against the University of Florida when they played last week. ETA: 2020 commit Theo Millas is pitching for team Canada in this event as well. Hope LSU offers Juco OF Brandon Parker if he continues to impress. Parker was the NJCAA player of the year for his division (D2, I think). I think we looked at him, but I don't know how hard we went after him. He signed with Dallas Baptist a couple weeks ago. Just posting here to say we’re reading and appreciate the news. Daniel Espino is at 13 on the list as well. Thanks for the heads up on the list. Perfect Game is releasing a bunch of lists right now as well. They're all behind a paywall though. I know they used to make them available in December in previous years, it might only be the last couple weeks though. I keep checking back every day, but they are still paywalled. That is not good news on Hampton, I thought he was more maybe Top 100, not Top 25ish 1st-2nd round. First time poster here. So be gentle. Based on last year's slot values at those top 3 listed above, they come in at $4.56M, $3.12M and $2.47M respectively. Of course, these could (and will) fluctuate between now and next June. Would love to keep the last 4 players listed. Former LSU commit Johnny Ray was named the number 6 JUCO draft prospect by Perfect Game. I'm starting to see some of the summer assignments trickling out for the incoming freshmen and current players.